This week I took my first pointe class in 2 years! 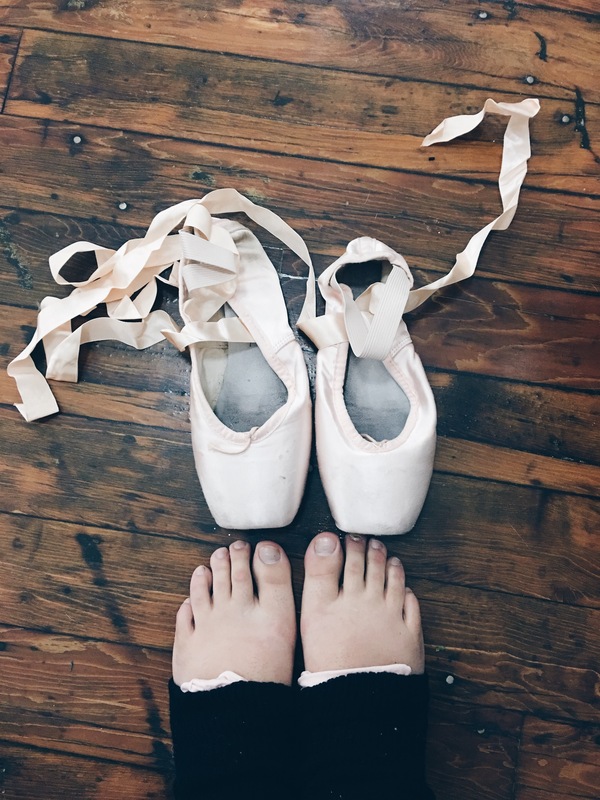 The availability of adult pointe classes in my area is non-existent unless you want to travel to Boston, but that’s way to far for me to make on any kind of weekly basis, so the past few years I have just been doing my own work at home and in the aerial studio when I go practice by myself. 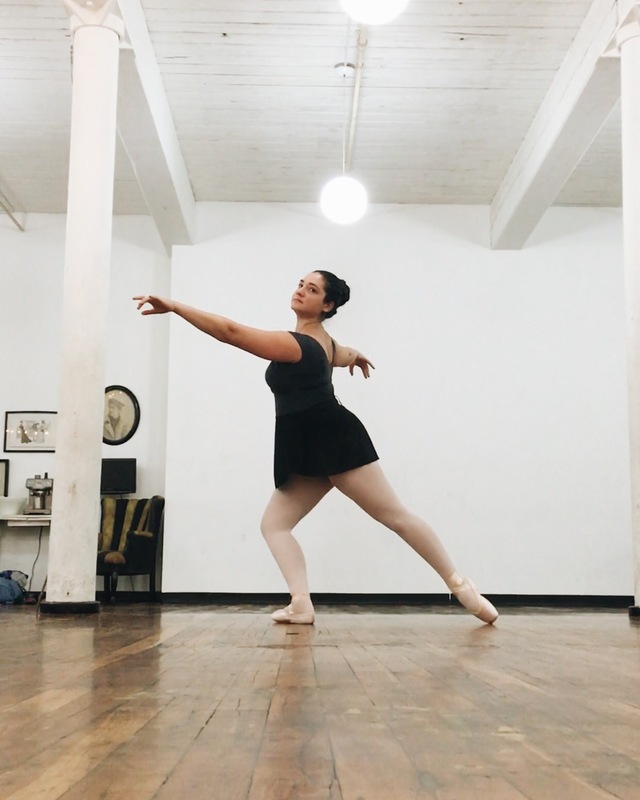 The last time I took a full class on pointe was when I was working at the ballroom studio my mom goes to as a graphic designer and got to take free classes. There was an adult beginner class mid way through one of my shifts so I used it as my break and took the class with my pointe shoes on instead of on flat like everyone else. Otherwise all of my classes have been on flat and too advance for me to do on pointe anyway, which is fine, I would go home many times and do some strength exercises at my home barre. Someday I’ll be able to do those pirouettes on pointe! I was a little nervous to go to this class because it was at a new studio that I had never been to and I was afraid I would be the worst one. On top of it the teacher is a former ABT dancer! 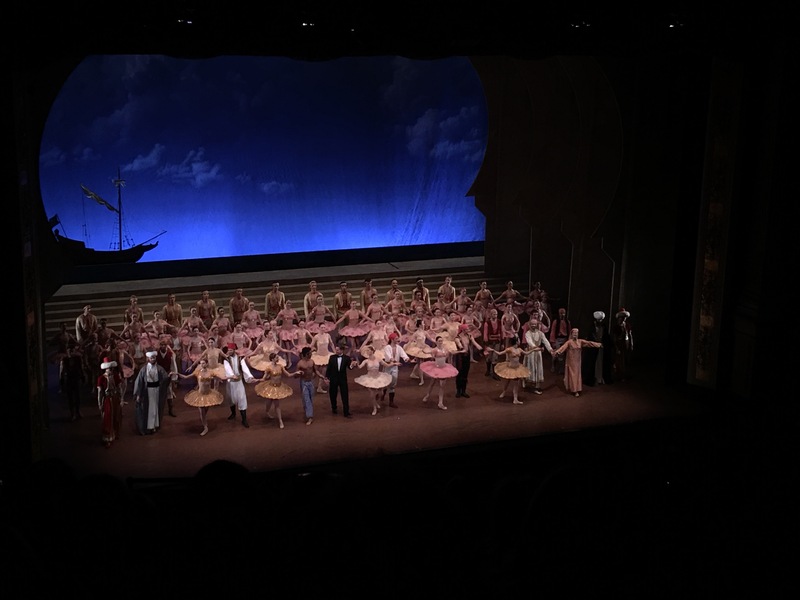 But boy was I surprised when I walked in to one of the most positive and welcoming atmospheres I’ve ever experienced in ballet! 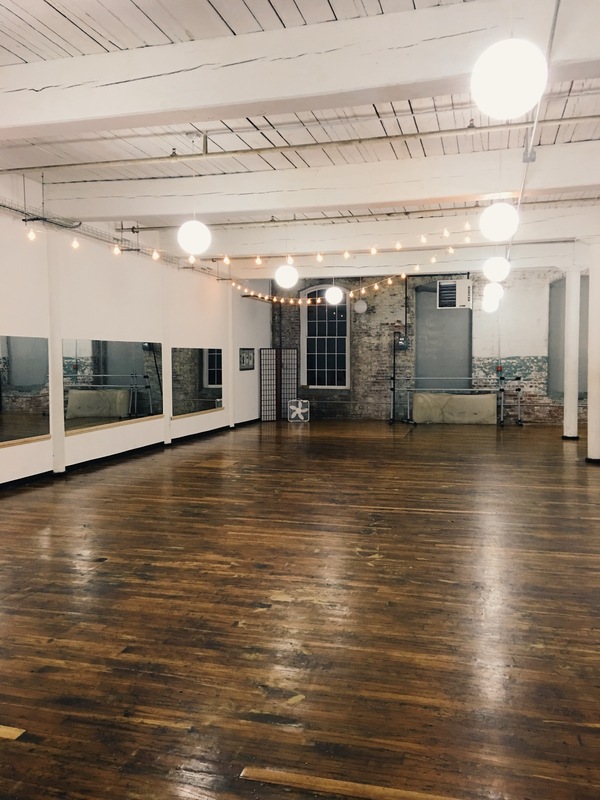 Stephanie was warm and welcoming, assuring me that we were going to start with strength work and build our feet and then do a basic pointe barre after. We started with a floor barre (which now I want to do every day!) and warmed up our feet with theraband exercises and some plie’s and tendu’s. The last half of class we put on our shoes and worked through demi pointe and pointe at the barre. This was the first class where I didn’t feel uncomfortable due to my size and lack of turnout. I don’t know why, but for some reason I felt completely content, which is rare. I felt joyful the entire class and still had a spring in my step when I went to work the next day (despite the fact that we’re all getting laid off after I’ve only been there a week) and felt confident. Sure I was a little rusty, but I definitely will find a way to keep coming to class and return to my other classes as well since that’s when I see progress. For today I’m off to do a photoshoot with my friend and make her into a fairy princess, but first, to the barre for plie’s! 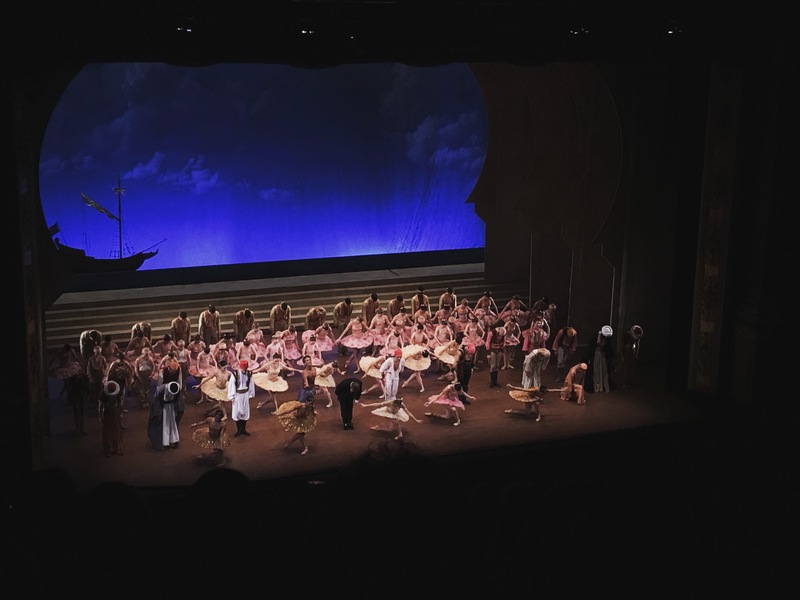 This past weekend I went to see the Boston Ballet perform Le Corsaire! My mom got us a subscription to see 3 ballets this season this being the first, Nutcracker is next, then Sleeping Beauty in the Spring. Needless to say it’s always an exciting trip and this was no different (except that I had a devastating week which ended up in a raging migraine for the entire weekend which was nonstop)! We were running a little late and barely made it to our seats for curtain thanks to Boston traffic. But I was ecstatic to see the cast list that my two favorite female principals were leads, Ashely Ellis as Medora and Dusty Button at Gulnare. I knew the storyline was about pirates, but didn’t get a chance to read the synopsis but my first impression was that the costumes and set were just GORGEOUS! Probably the most beautiful I have ever seen! The set transported me right to Ancient Greece, and when Medora was first seen oh my did she glitter! What I would do for a costume like that! The storyline flowed effortlessly. The short version is Medora is in love with the pirate Conrad, who comes to take her away. Meanwhile a wealthy slave trader is presenting his women, including Gulnare to the Pasha and he is in awe by her, agreeing to buy her. He then sees Medora, who is the slave traders foster daughter and wants her too, offering to pay theee times as much for her as well. The deal is made and Medora, who doesn’t want to be sold, is kidnapped by Conrad and his pirates along with treasures and the other slave maidens (except Gulnare) and wicked away to a seaside cavern. Medora requests the slaves be freed, which turns the other pirates against Conrad who grants her wish. His brother turns on him and conspires with the slave trader to kidnap Medora back, after putting Conrad into a deathlike sleep, and take her to the Pasha, heartbroken. The Pasha is angry that she is miserable and refuses to pay the promised amount and the trader runs for his life. Gulnare befriends Medora and tries to show her that the cushy palace life isn’t bad and she could be happy. But Conrad and his faithful men come to her rescue, and save the day, whisking her away on their ship and happiness. I’d love to learn a classical variation one day, even if I never get to perform, it would be so much fun to dive into a character. Which variation would you like to learn?